WASHINGTON, DC — Results for Development (R4D) today announced that the U.S. Agency for International Development (USAID) has selected the organization to lead a new five-year global initiative: The Health Systems Strengthening Accelerator (HSS Accelerator). This global platform will connect locally-driven health system reforms and innovations with global knowledge, enhance local institutions devoted to ongoing system strengthening, and accelerate countries’ journeys to self-reliant health systems. The program was co-created by USAID, R4D, the Health Strategy and Delivery Foundation (HSDF), based in Abuja, Nigeria, ICF and several other partners. A global initiative to improve how health systems strengthening is done locally and globally. With an emphasis on local ownership and direction for health system change from the start, the Accelerator will support up to 20 self-selected innovator countries to improve the way they strengthen their own health systems. Inspired by technology accelerators that support groups of innovators working on similar approaches, participating countries will address vexing health system challenges, such as poor quality of service delivery, financing approaches that leave key populations without access, or lack of integration of private sector providers with the rest of the health system. They will design and implement their own local approaches adapted from global evidence and lessons learned, with emphasis on the complex root causes of health systems problems, as well as the motivations and political dynamics that surround them. Over five years, participating countries will share their results and experiences to accelerate both their own progress and global know-how. Synthesizing and sharing local learning about what works (and what doesn’t) with the global health community — for a particular health system problem and for how to build the kinds of local institutions and capacities needed to continually improve systems. Many in the global health community have similar ambitions. R4D, HSDF and ICF look forward to joining and complementing other efforts. The initiative will form partnerships with additional organizations to supplement the skills, resources and human power of the current partners. Additional partners could include academic and technical support institutions, institutions with relevant world-class technical expertise, and global knowledge aggregators. The initiative will assist local and regional organizations to strengthen their own technical and administrative capacities to sustain health system improvement over the long term. The consortium will also seek guidance from leaders of past health system reform efforts. More information about the HSS Accelerator, including calls for expressions of interest in partnerships and specific activities, will be forthcoming in late 2018. Please visit www.r4d.org/careers/ for job postings related to the HSS Accelerator. 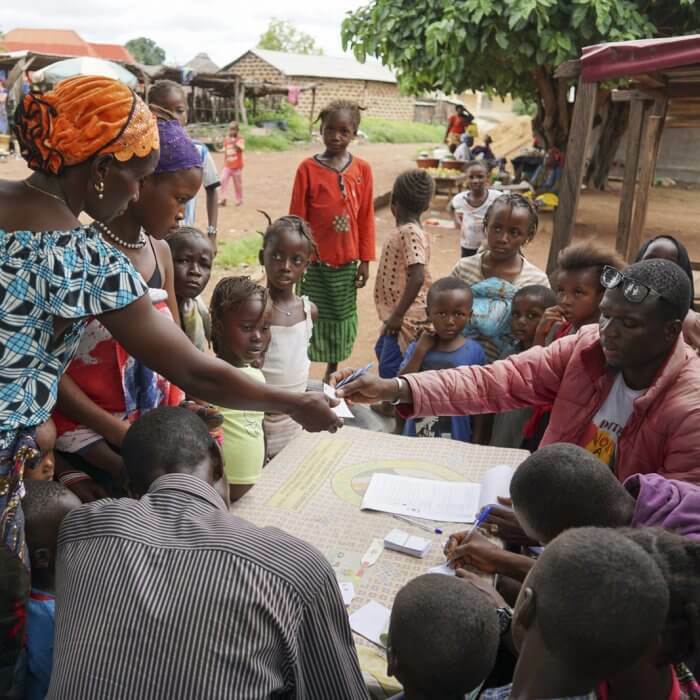 The U.S. Agency for International Development administers the U.S. foreign assistance program providing economic and humanitarian assistance in more than 80 countries worldwide. For more information, visit: www.usaid.gov. Health Strategy and Delivery Foundation (HSDF) is a non-profit firm established to support key stakeholders in both the Public and Private Sector, in making evidence-informed decisions and ensure effective execution of their strategies. Our approach involves providing thought partnership, strong analytical support and deploying innovative tools to generate measurable and sustainable results. HSDF takes on complex and fundamental system challenges in the health and social sectors in Africa. We leverage our contextual knowledge of the continent, deep sector expertise, strong analytics and vast networks to solve our clients’ issues. We work closely with our clients at all levels ensuring they are empowered to sustain the impact and continue to excel beyond the duration of our active engagement. For more information, visit our website at: https://www.hsdf.org.ng/.